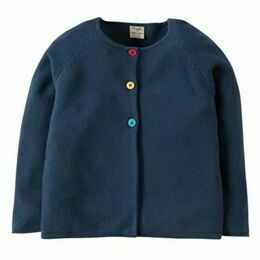 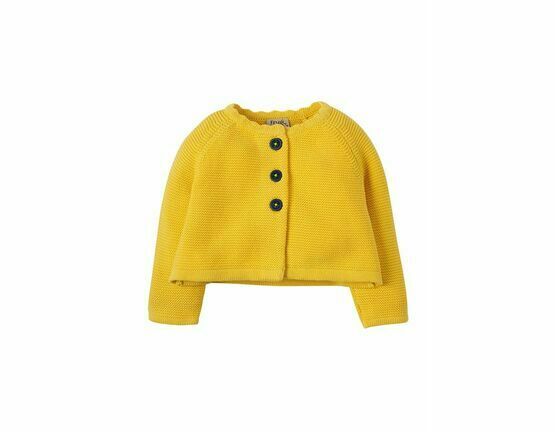 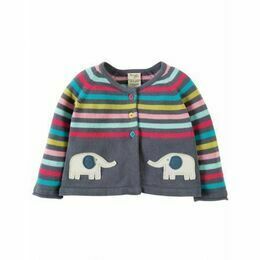 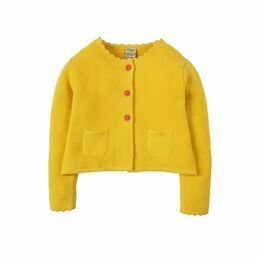 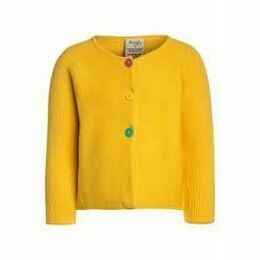 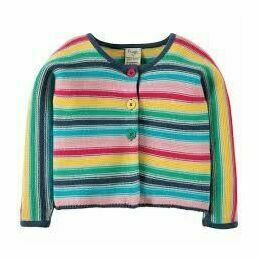 The Carrie cardigan is made in a gorgeous soft organic yarn and is the perfect for layering over your child's outfits to keep them warm and snuggly. 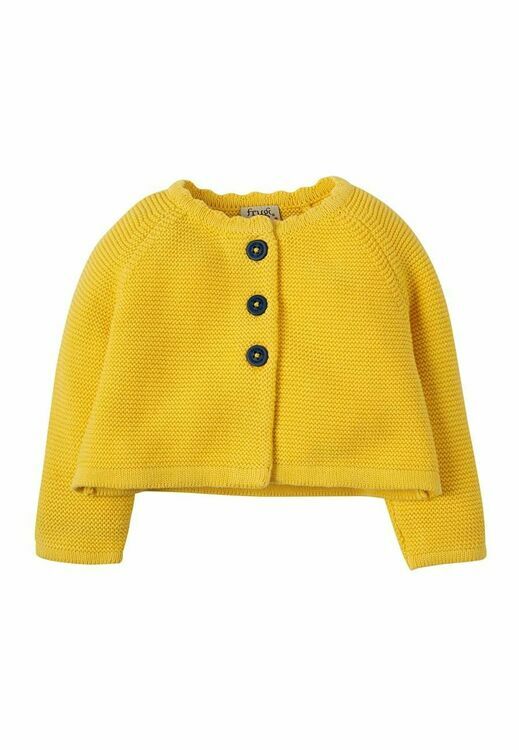 It is knitted in a simple textured garter stitch and has pretty scalloped edging along the neckline and blue button fastenings at the top creating a beautiful swing shape! 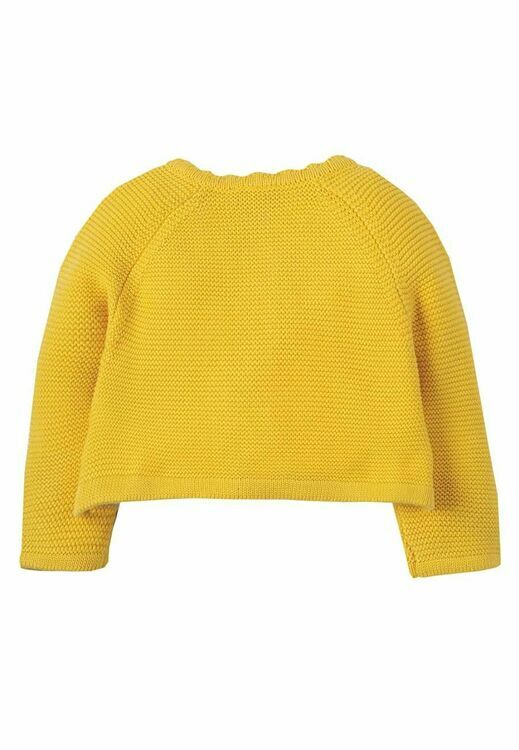 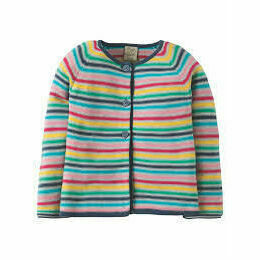 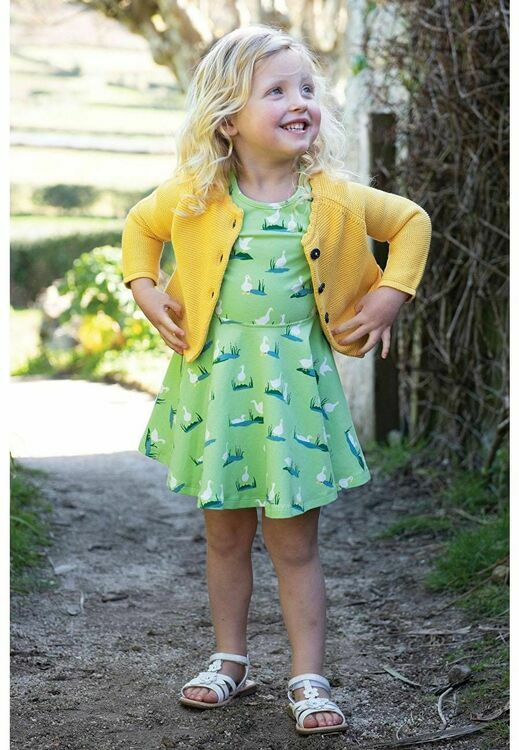 A super sunny addition to your child's wardrobe.